Voguing is a dance style that emerged from Black and Latino queer and trans communities in New York in early ’60s. The vogue community has (thankfully) expanded to Europe– come learn the history of the ballroom scene, and the dance style itself! 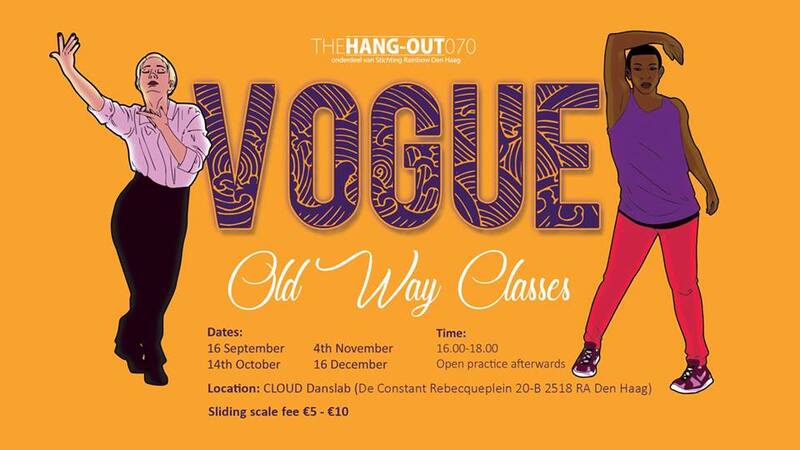 Thanks to the support of the Hang-Out 070, an LGBTQAI+ organization based in the Hague, we will have two styles of voguing taught at CLOUD: Old Way and Vogue Fem. Each class will be two hours, followed by an open jam.The ballroom scene teaches individuals to embody confidence, style, and dedication. So come learn about the history of the ballroom scene, build community, and how to get your 10s!!! Time: Door open at 17:30, class begin at 18.00. What to bring: Comfortable clothing and a fierce attitude.